Android Smartphones have long passed the time when they, and cellular devices in general, have been used only for communications. i.e., making calls. Today, each smartphone is a computer in itself (with a good chance that people own android smartphones more powerful than the desktop computers they have at home) but something haven't been upgraded all this time. We use our smartphones to play and have fun, and that's all good, but our thinking caps become smaller and smaller all the time. In other words, we think less or exercise our mental muscles less and less, at the same time using smartphones that get smarter and most connected. This is why we were delighted to find Fill-it in Number Puzzles, a game that is great fun but also lets us practice our thinking. Let's get a closer look at this game and see how it wors. Fill-it in Number Puzzles is quite simple to run and play, but it's a real challenge to solve correctly, especially on larger and more difficult puzzles. 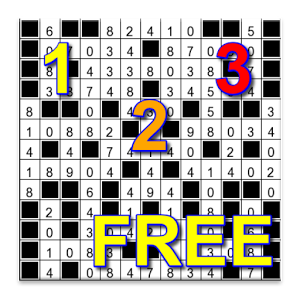 On its face, the game is a fit in puzzle where the user gets to select number out of an existing group in order to complete rows and columns, according to different rules. The game is challenging both because the user must guess the rules to be used in a specific puzzle and because he or she get a limited time in which to do it, getting a timer that counts down to zero, adding to the pressure. Of course, this all serves to keep the mind sharp, juggling numbers, inventories and timeouts all at the same time on some large puzzles. Of course, the fun part comes from cracking difficult puzzles that necessitate using your MIND, not your nimble fingers or luck. Take it from us, the pleasure that comes from solving a game by thinking is much stronger than just swiping fingers across the screen. 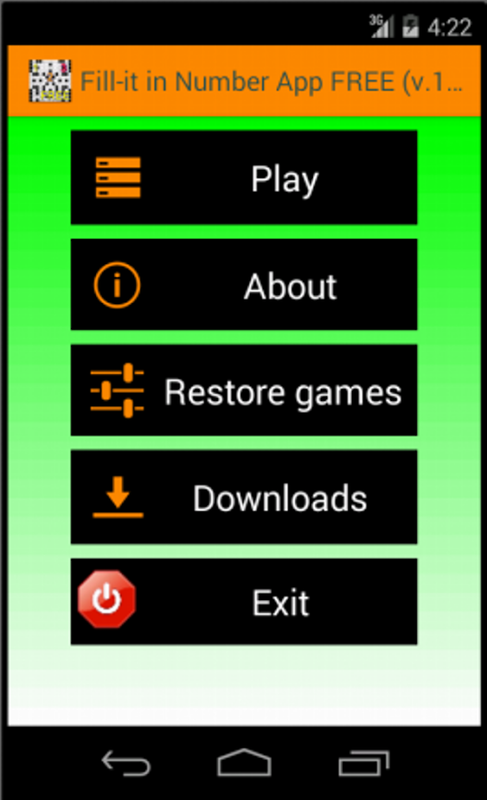 We must not forget that the way the game is setup, it let's us whip the smartphone out and play or continue a saved game whenever we have several spare minutes. So, now you can understand why we like Fill-it in Number Puzzles. It is an original puzzle game, is a game that actually makes you think, is fun to play, get's challenging as you advance in the puzzles and is simple and intuitive to run and play, without making the game itself easy.